Last December 26, 2015. 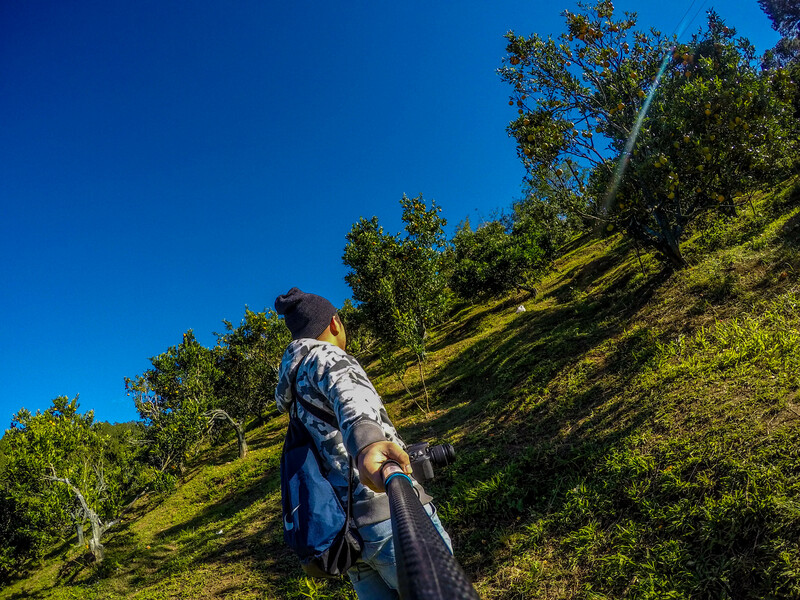 I went to Sagada for the very first time. Its not just the only first for this trip, it is also my very first trip to be totally alone with no one familiar to be with. Maybe you’ve heard about the movie “That Thing Called Tadhana” that starred famous actors, Jm De Guzman and Angelica Panganiban. Well that movie happens to be my inspiration and the reason why i’ve seen the wonders of Sagada. Frankly, I’ve never heard of this place before I’ve seen the movie. 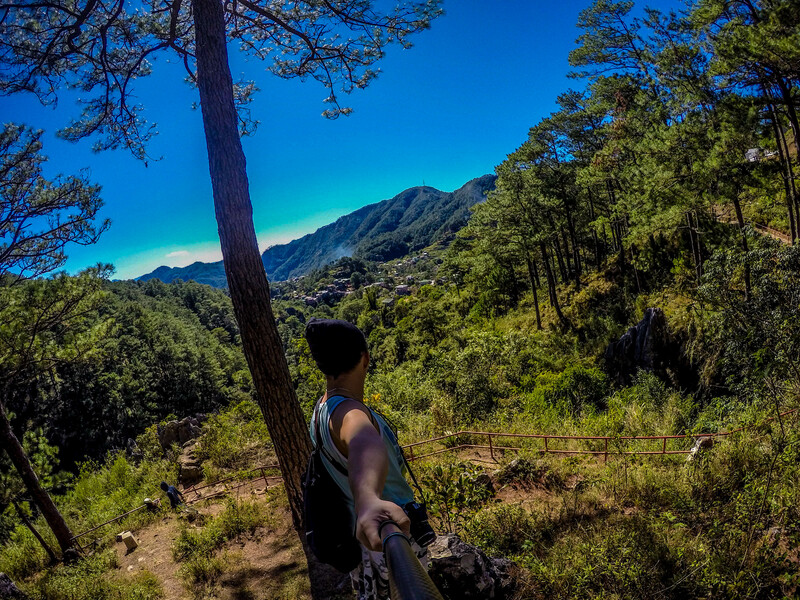 I promised myself that someday I’ll cross out Sagada on my bucket list. I didn’t expect it’ll come sooner. 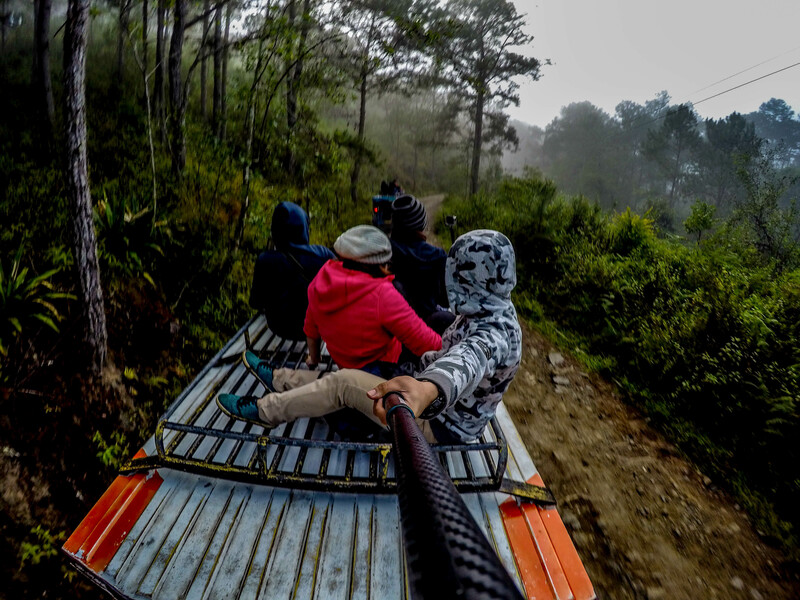 I’ve read blogs about people coming to Sagada on their own without any agency helping them out. But for a first timer like me, I was afraid of not getting the experience I was seeking for so I opt on hiring a travel agency to accompany me to my shenanigans. 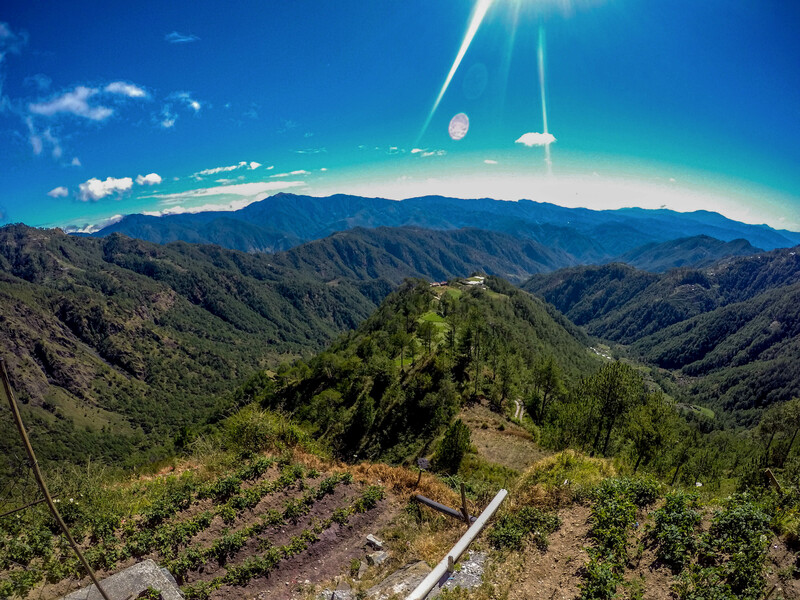 Thankfully I’ve found Travel Ventours from a best friend of mine (google) and as I’m writing this from my rented room, I can say that so far, they have met the standards and the things I’ve been looking for here in Sagada without any hassle. Travel Ventours booked us a rest house for our entire group. The house even includes a functional kitchen, 2 toilet with heater and 6 bedrooms but only five could be occupied (the other bedroom is for the caretaker of the house) and even has a fire place to chill and hang out with other travelers. I’ve asked the caretaker about the actual rate for walk-in tourist and travelers. He said that rooms are priced at 350/head/night. That is really cheap but the amenities offered differs. I also ask the caretaker on how much the whole house is if ever I wanted to rent it. He can not give the exact amount because it depends on the number of days or months it will be used. The customer and the owner must settle it since prices may change. 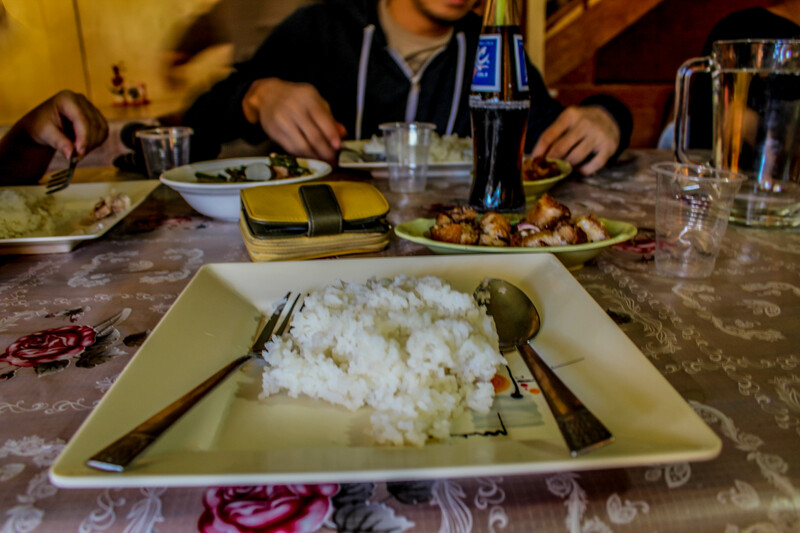 The first meal in Sagada we ever had for the trip, we were brought by the agency to Salt & Pepper Diner. Take note that meals in Sagada aren’t cheap compared to room accommodations. You have to have at least Php 200.00 budget per meal. During my lunch at Salt & Pepper Diner, I opted to try their creamy steak for the price of 190 php. When the order arrived, I guess the price was just alright based on the serving they gave. But if you ask me and my fellow groupmates, the food wasn’t delicious. I didn’t even finish the whole meal. I thought it was because I wasn’t hungry, but later on, I realized when the other groups also complained about their dissatisfaction with the food. After our scheduled tour for the day, our guide asked us where we wanted to eat. Most of us wanted to eat somewhere where there is soup offered since its getting cold and a hot soup for dinner isn’t a bad thing. Our guide told us there was a group of carenderias near our rented house called “the underground” since its located at the basement of a building in town. We agreed since we were thinking that carenderias were not that pricey. Boy we were wrong. I ordered a single serving of “Sinigang na baboy” soup and Lechon Kawali served with 1 & 1/2 cup of rice and mountain dew for the drinks. The amount I paid was exactly 200 php. It wasn’t cheap but the satisfaction was good compared to my lunch on that day. But for a carenderia, the meal was a bit pricey. Maybe this is just the price here in Sagada and I’m just not used to it. 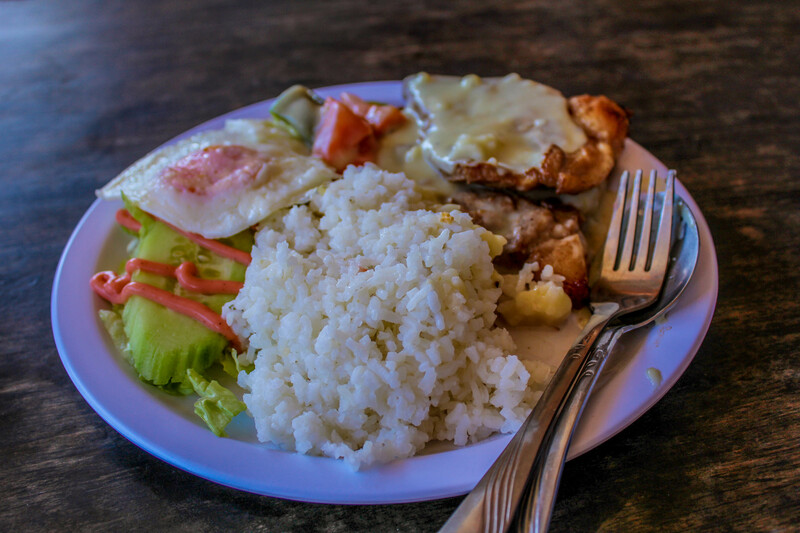 During our second day in Sagada, our guide let us decide on where we wanted to go to for breakfast. Some of us in the group went farther on the road and found a restaurant we think is a good place to eat for breakfast. Their breakfast was good but still pricey but compared to the prices of the meals we had the previous day was lesser. 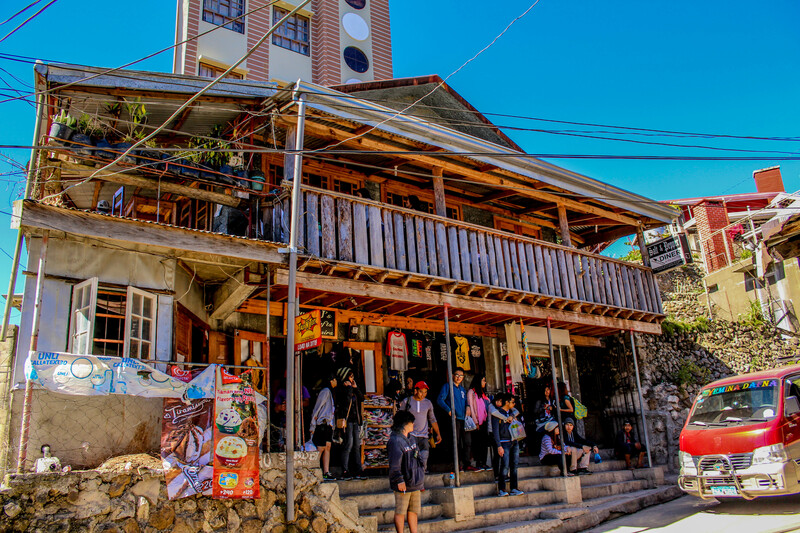 The restaurant also offers free coffee and hot chocolate with your breakfast that was just perfect for the morning cold in Sagada. We, me and my groupmates, were satisfied with the the meal that we decided to come back there to take our lunch. There is nothing major to see here other than the signage that welcomes you to Banaue. Referred to as the “eighth wonder of the world”. 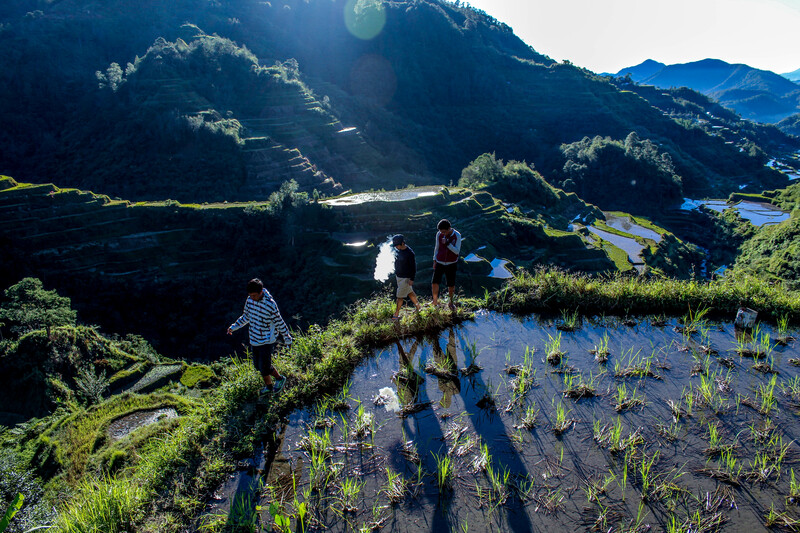 It is the result of the diligence and hard work of the tribes in Banaue called the Ifugaos. Because of their artistry and excellent use of design, their pride is one of UNESCO World Heritage Site. It was really humbling to have finally see the famous terraces. What I like about the place is that you would not only see the terraces but can also freely walk around it to another viewing deck located lower than the first viewing deck. You can actually see the terraces closer without getting wet. But If you’re not careful and look at where you are walking, you might slip and get wet. 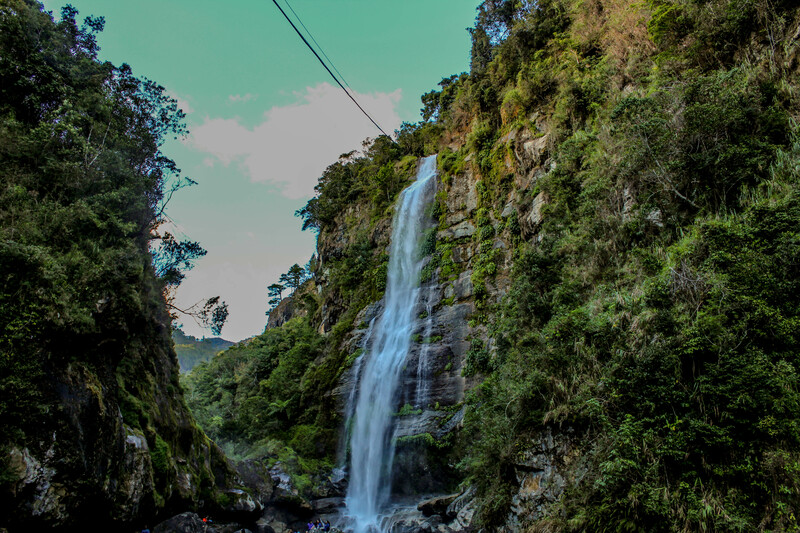 Going to Bomod-ok Falls, you have to pass by either in Aguid or Fidelisan. 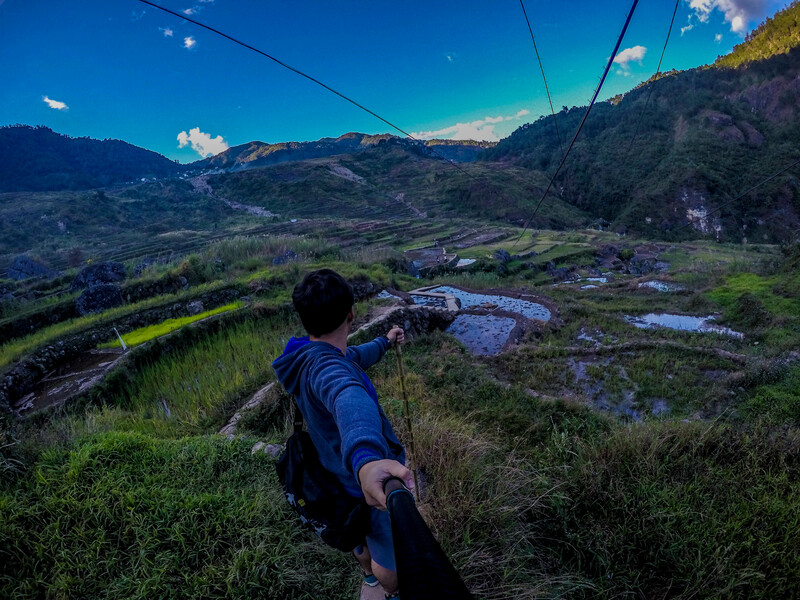 Either way, you would pass by Rice Terraces going there. Since I know I will be taking a lot of photos, I chose to walk last in our group so that I could stop at anytime I want without giving my group any hassle. There was a time in our trekking that I got left behind and got lost at a fork on the road. Thankfully, there was a farmer who told me the right way as she was going the same direction as I am. We had a little chit chat and found out that their family owned a part of the Fidelisan Rice Terraces that was handed down to her by her ancestors. Going to Bomod-ok Falls takes about 1-2 hours of trekking depending on the speed of the group. 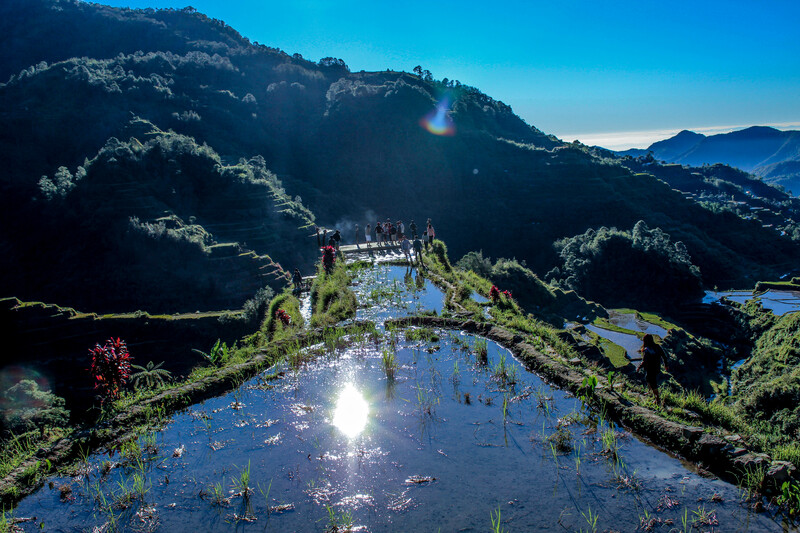 You would pass Aguid / Fidelisan Rice Terraces depending on where your group came from. You will need a guide going to Bomod-ok Falls. The guide is at Php 500.00 per group of ten people. You can take a dip at the bottom of the falls. I didn’t tho because of the cold air that Sagada is known for. Even if you are not close to the falls, you would still be splashed by droplets from the falls brought by the wind. 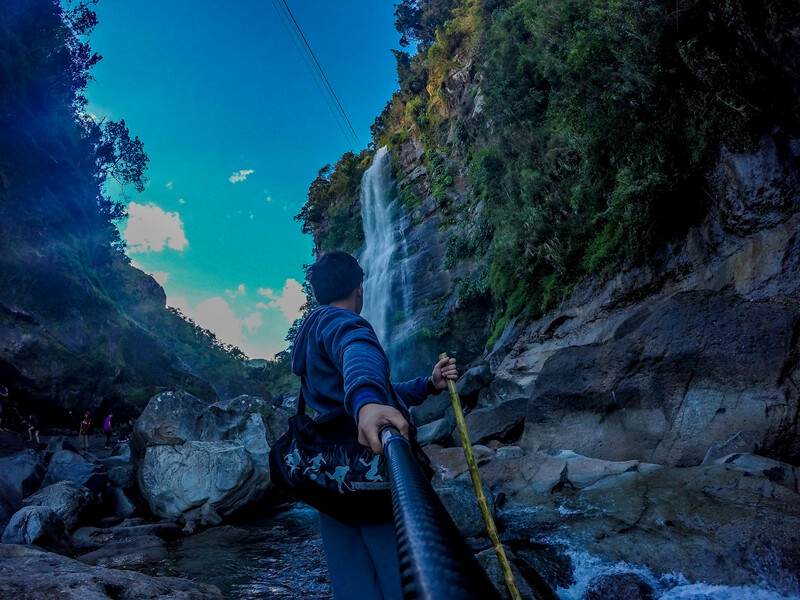 Note: The “sungkod” (walking stick) I had was free to use by those trekking to Bomod-ok Falls. Bring water with you because the trek is not to be taken easily since it is very long especially going back from the falls since it will be an uphill trek. 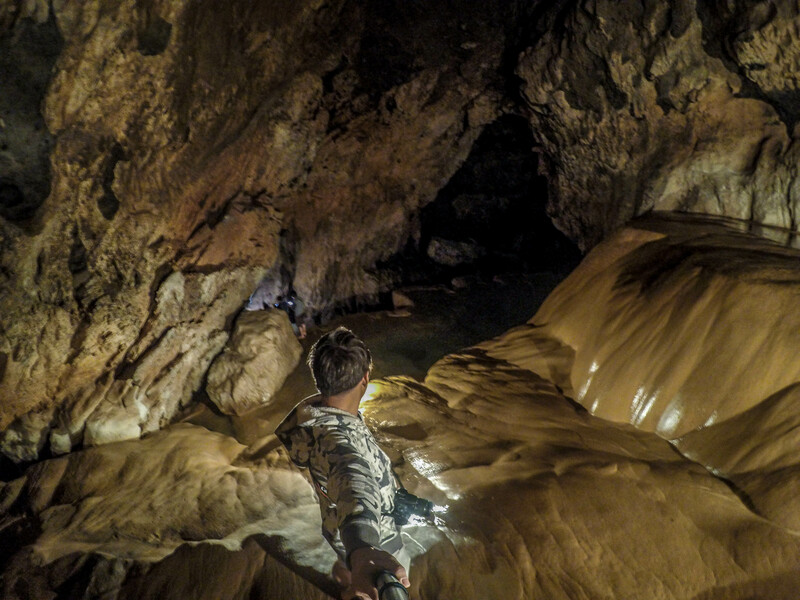 The Sumaguing Cave spelunking experience is one of the strenuous activities in Sagada. You would need to be physically prepared to take in the cave. This must be one of the deepest caves I have entered. The first part of the cave is consist mostly of going down to reach the inner part of the cave. It is not entirely wet but is slippery from the bat’s poo so be extra cautious upon entering the cave. The second part of the cave is where you will need to go bare foot. From that point, you should expect the cave to be wet (with flowing water) but surprisingly is not slippery even though the rock formations were smooth to look at. Note: Wear something comfortable like shorts, T-shirts and flipflops. Avoid bringing things to hold. You will need both your hands to grab on in case you slip or need to balance along the wall of the cave. 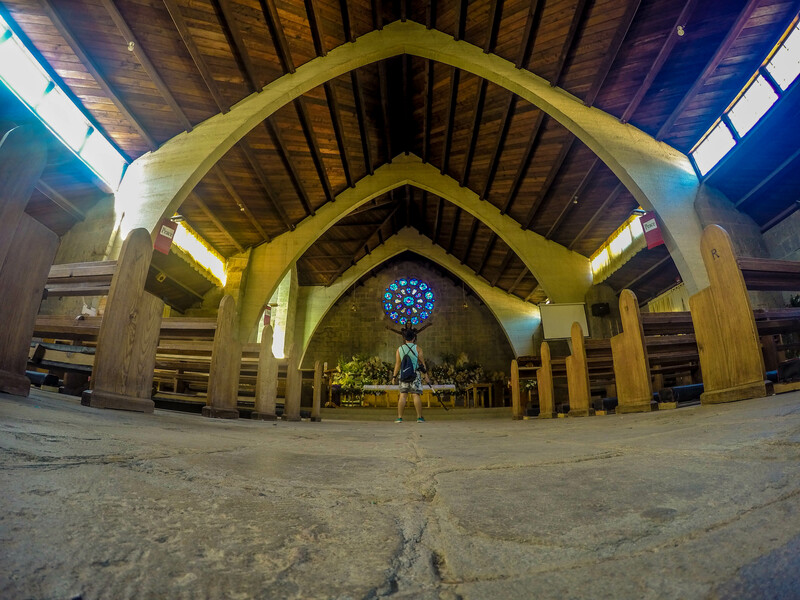 Don’t bring heavy DSLRs, a good action cam or cellphone is much preferable. My DSLR was not even used for the entire time I was in the cave. And lastly, always follow the instructions of your guide. They know the cave like the back of their hand so what they say or do is important. 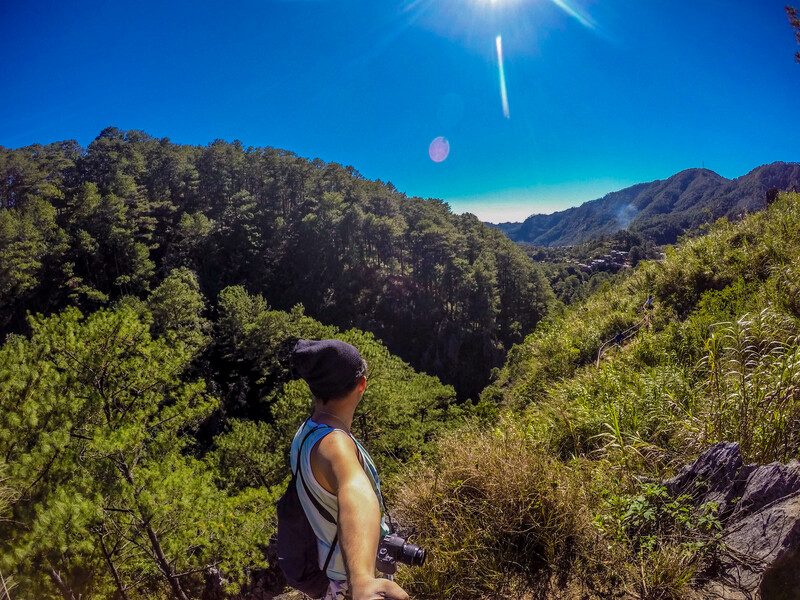 The Echo Valley is one of the most accessible spots in Sagada. 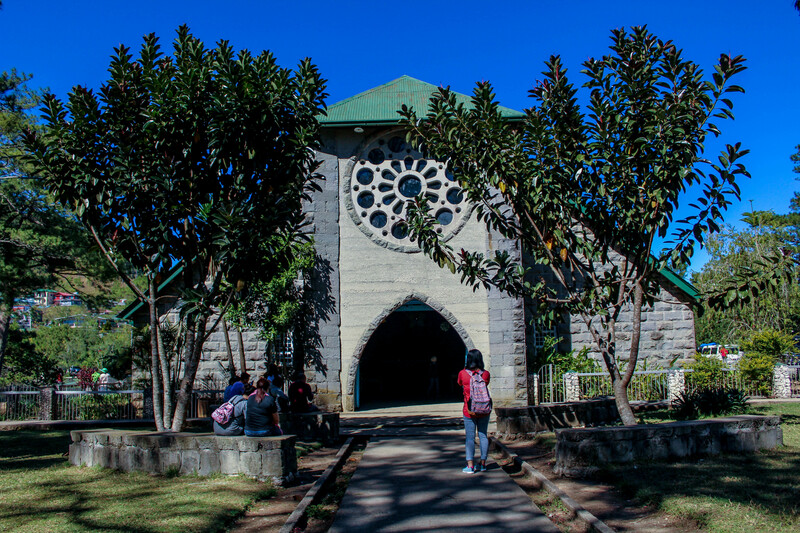 It is just walking distance from the area where most of the tourist are staying. Yes, Echo Valley is rightfully called so because you can hear your echos. You can shout your woes, happiness or even anything crazy if you feel like it. 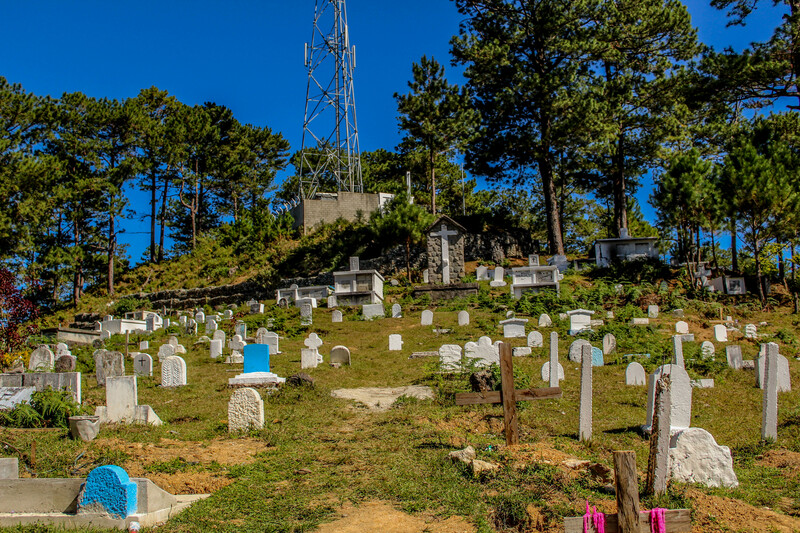 Fun fact about Sagada’s Cemetery, some of the tombs have spaces beside it. It is assumed that the space is prepared for the spouse of the dead so that someday, their lifeless bodies are side by side once more. The people who visits the cemetery doesn’t use candles when visiting their departed loved ones because of the cold air. 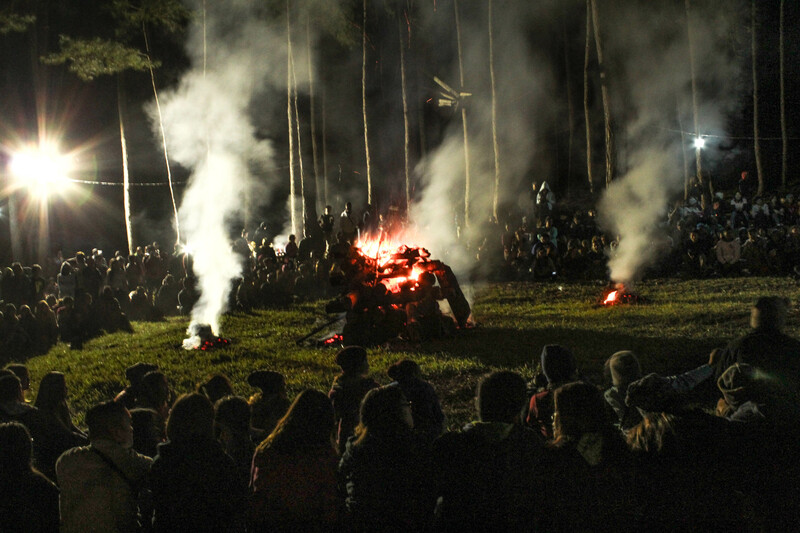 They however use small bonfires so that the flames would last longer against the cold air. We still had free time for the day after a trip to Echo Valley. 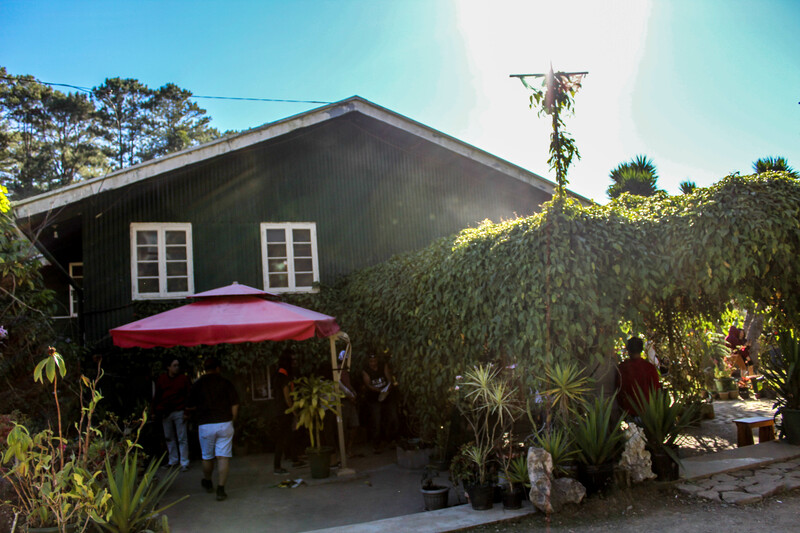 Our group decided to go to the Sagada Orange Farm. 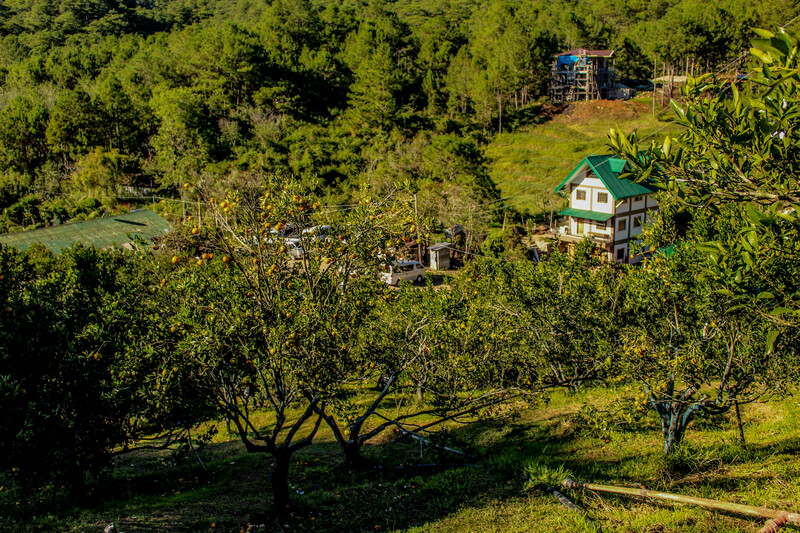 For just Php 50.00, you can enjoy picking oranges and eat unlimited oranges inside the farm. The entrance to the farm however is only for 30 minutes. That is long enough for you to pick those oranges, get to eat them, have lots of picture with it and still have time to pick some to take home. Oranges that are picked and taken home are priced at around Php 60.00 per kilo. 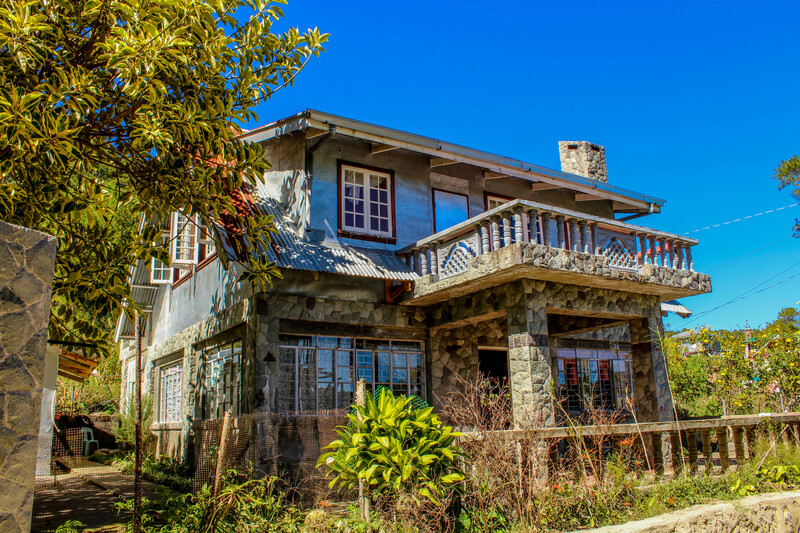 One of the products Sagada is known for are their weaving and potteries. 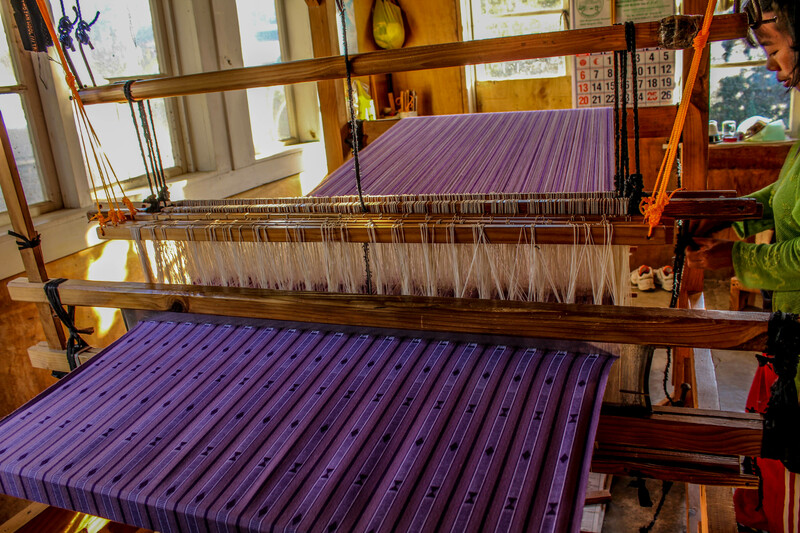 Their brightly-colored cloths are mesmerizing to look at. The women weaving are perhaps one of the most patient people you will ever meet. 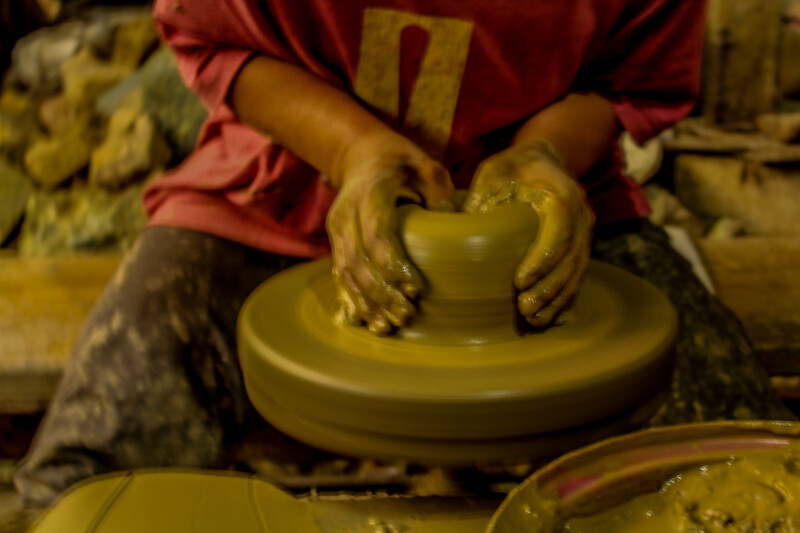 The potters in Sagada Pottery were surprisingly good in speaking English. I later on asked our guide why they were good English speakers. I found out that the one who founded the pottery were American missionaries in the 90s. They have seen the potential and the skills of Sagada which lead to them building a place to enhance and showcase their talents in pottery. 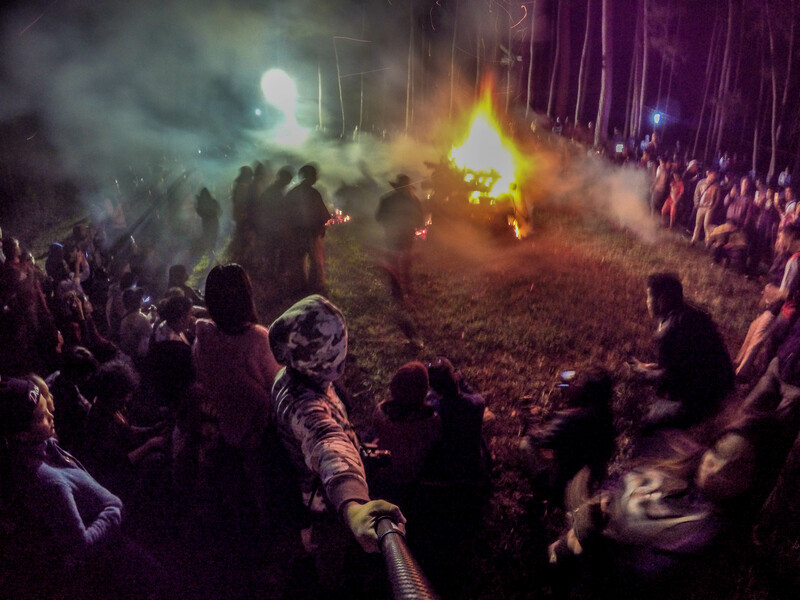 The bonfire festival was not part of the package on our trip since the festival usually happens in December. We were asked if we wanted to participate the festival which cost us around Php 180.00 each. It includes the transportation, entrance to the show, unlimited wine to drink and our dinner for the night. Most of the tourist were there to experience the festival for themselves. I don’t however recommend the festival because the organizers were disorganize. They have only a few transportations available to take us to the location of the festival. The transportation was not enough to cater everyone who wants to go to the festival. There wasn’t even a right venue to wait for the jeepneys, everyone was queuing every where. Food was also another issue. The food was late to show up in the venue and only a few people were allowed to hand out the food. Some even had an issue with there tickets because the ushers took their tickets without returning their food stab. They ended up not having anything to show to the right people. Kiltepan peak is the highlight of my trip. It is the only thing I am looking forward in my entire trip to Sagada. I was a little hesitant that morning because it was raining the entire night and drizzling that morning. I was thinking maybe the sun won’t shine or the clouds won’t come down. 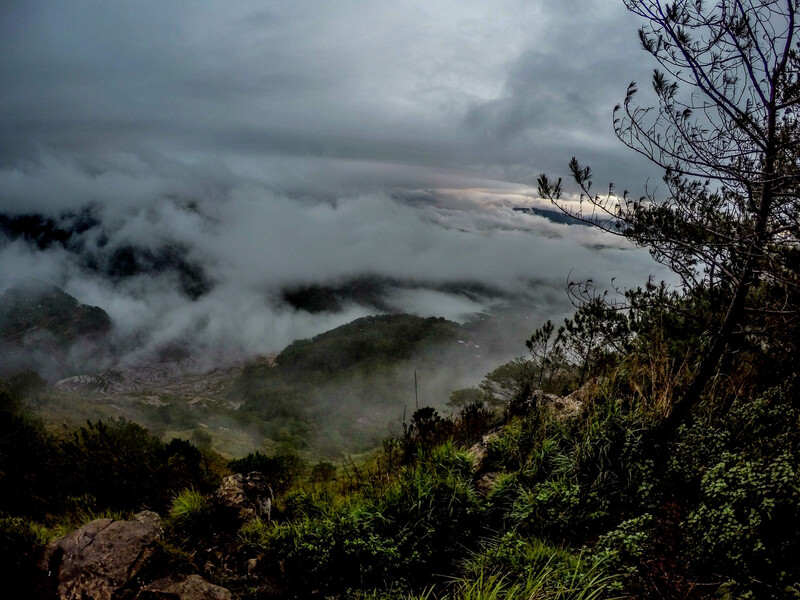 When we arrived at the peak, the sun hasn’t risen yet and the people were patiently waiting for the sunrise. I wasn’t keen on letting anyone ruin my photos so I found a place that is a little bit lower than the rest of the people that were waiting. It was slippery going down, that is why only a few were willing to risk slipping at the side of the peak. Thankfully, by the time I was positioned, the clouds were now visible. I was not disappointed from where I was standing. The clouds were spectacular to see. 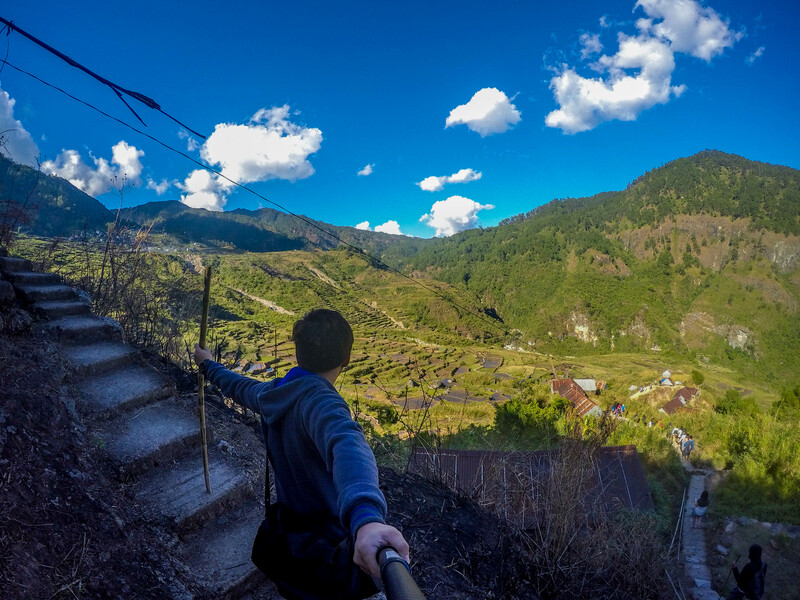 The route that we took going home was a different route than what we took going to Sagada. We took the route leading to Baguio going to home to Manila. 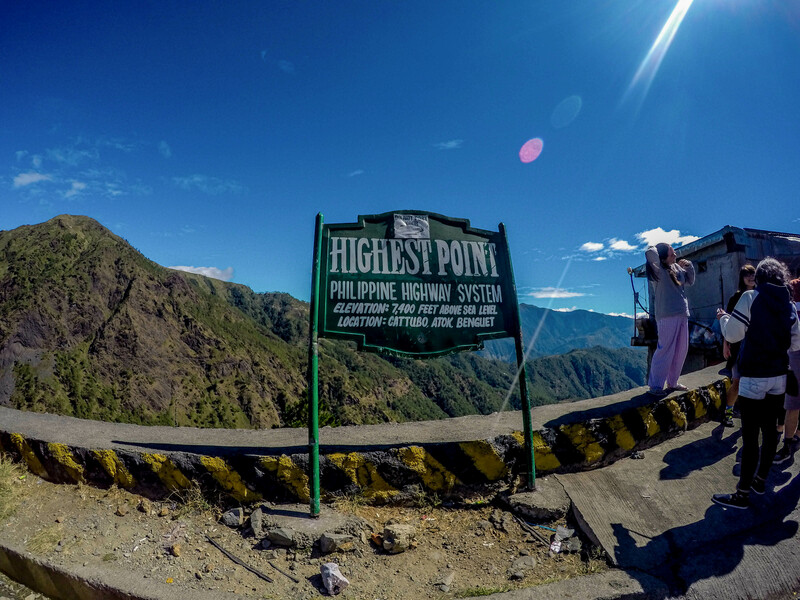 We made a stop over at the highest point in the Philippine Highway System. According to the sign, that point is at 7,400 feet above sea level. 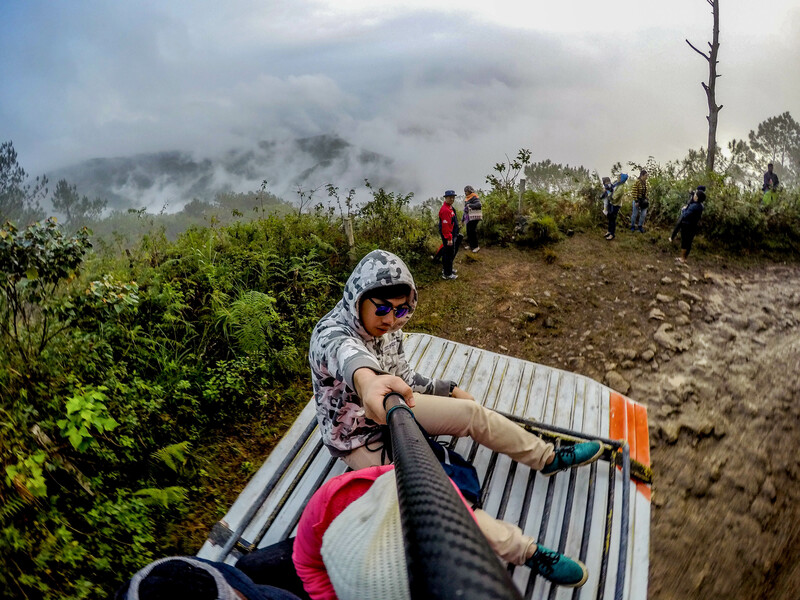 We are literally traveling at the highest road anywhere in the Philippines. 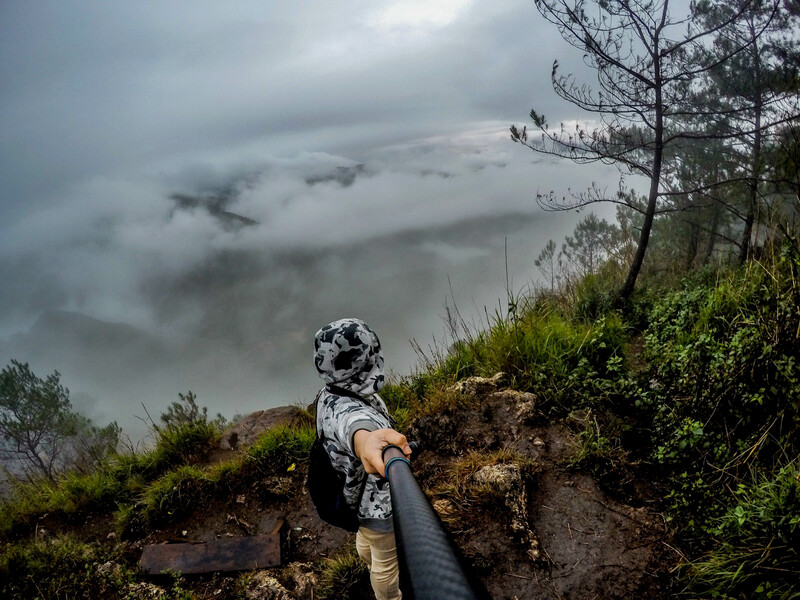 Sagada has a special place in our hearts. We’re planning to go back there to do more extreme adventures. 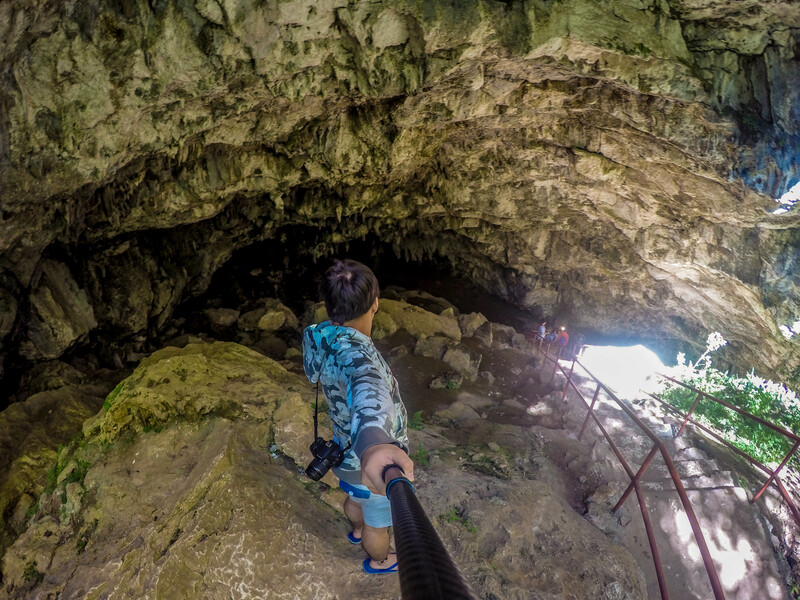 The first time we went there, we weren’t able to visit Crystal cave, enjoy the cave connection, climb mountains, etc. because we had kids and non-adventurers with us. Yup, same here. We booked through an agency coz we had kids and non-adventurers with us. It makes things easier kasi. But the next time we’ll go there, we’re going to do it DIY.